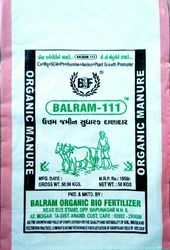 We are a leading Manufacturer of balram-111 soil conditioner, organic granule soil conditioner, organic granulated agricultural soil conditioner and balram 111 c.m.s soil conditioner from Anand, India. Extract Potato, Sugarcane, Capsicum, etc. Soil Conditioner is used to prevent the crops from various diseases. 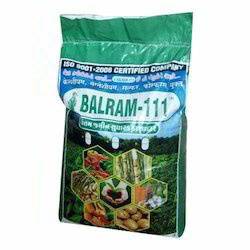 We have a team of qualified professionals who utilize excellent quality chemical compounds and innovative technology, in adherence to the set standards of the industry, to be able to formulate superior quality Balram-111 Soil Conditioner. Our products are widely accepted by farmers. It is a research-based granule manure used to increase the organic fertility of land and improves soil structure texture. It is very effective and works as a substitute of D.A.P. We have conducted many trials and found excellent results in many crops like cotton, groundnut, till, sorghum, castor, basil, plantation crops and horticultural crops etc. It is the best soil conditioner which is very cheap, easy to use and quick in results. It provides disease resistance, growth development. So, widely accepted by farmers in Gujarat. With the high demand in the market, we are betrothed in manufacturing and supplying Organic Granule Soil Conditioner that is used to prevent crops from various diseases. 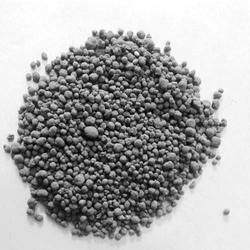 The offered fertilizers are precisely processed by our qualified professionals using the excellent quality chemical compounds and innovative technology in adherence to the industry set standards. till, sorghum, castor, basil, plantation crops and horticultural crops etc. It provides disease resistance, growth & development. So, widely accepted by farmers in Gujarat. We are an unparalleled name in offering a premium quality scope of Organic Granulated Agricultural Soil Conditioner. Composition Ca, Mg, SO4, Ph, Amino, etc.